AUSTIN A55 MK2, AUSTIN A60, AUSTIN A110, AUSTIN A110 MK2, MG MAGNETTE MK3, MG MAGNETTE MK 1V, MORRIS OXFORD SERIES V, MORRIS OXFORD SERIES V I, VANDEN PLAS PRINCESS 3 LITRE, VANDEN PLAS 3 LITRE MK2, WOLSELEY 6/99, WOLSELEY 15/60, WOLSELEY 16/60 , WOLSELEY 6/110, WOLSELEY 6/110 MK2, VANDEN PLAS 4 LITRE R, RILEY 4/68 , RILEY 4/72. 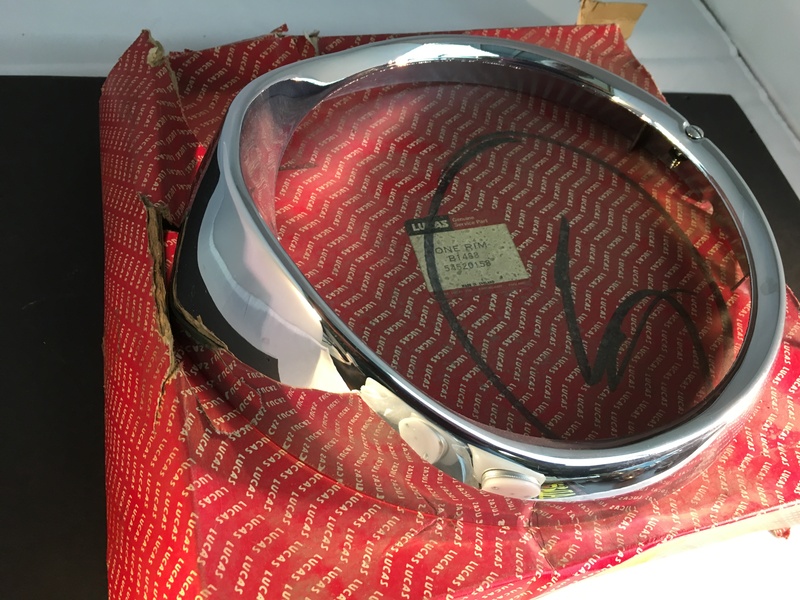 Excellent New Old stock Lucas Head Lamp rims described as New and they are as New. Superb old stock parts to make that car look concourse. I thoroughly recommend sports and classics.